Do you have elderly parents or loved ones living alone? 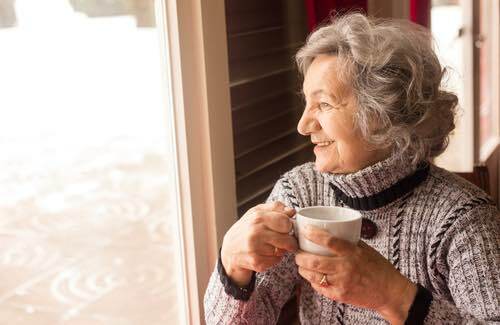 While it’s important to make sure they are safe and healthy all year long, bitter winter weather heightens safety concerns because elderly people face higher risks of illness and injury this time of year. Icy conditions and cold temperatures present unique challenges for seniors and may intensify health problems they already have. The good news is that by taking some winter safety precautions, you can reduce your loved one’s risk of injury or illness this winter. Hypothermia is a dangerous condition where a person’s body temperature drops below a healthy range. Older people are more at risk because they have trouble retaining body heat and they may have poor circulation. Stay inside as much as possible. If they do go outside, encourage them to dress in warm layers and always wear a hat and scarf. Dress in warm clothes, even inside. Wear socks or slippers, and cover up with a blanket when you are sitting at home. Turn up the thermostat. It’s tempting to turn down the heat to lower electricity costs, but reducing the risk of hypothermia is more important. Keep the thermostat set to at least 68 degrees in the winter. Your loved one’s risk of falling increases during the winter due to icy sidewalks and slippery surfaces. Melted snow can also create hazards inside the house if it gets tracked in on shoes or boots. Help your mom or dad keep the driveway and sidewalk cleared and apply salt to walkways. Be sure they have shoes with non-skid soles to help prevent slipping, and equip assistive devices like canes or walkers with rubber tips. Perhaps the most important thing you can do, however, is to offer assistance. Help your loved one walk to and from the car, keep an eye out for fall risks, and find someone to help them shovel the sidewalk or driveway. Poor road conditions increase the risk of accidents for everyone, and seniors are even more susceptible because their reflexes aren’t as quick as they used to be. If an accident does occur, elderly people may experience hypothermia more quickly if they are trapped in the car. Check the windshield wipers, tires, and brakes on your loved one’s car before cold weather hits. Stock the car with emergency supplies such as a flashlight, batteries, blanket, first aid kit, water, rock salt, and a windshield scraper. Give them a cell phone that is easy to use and ask them to call you when they plan to go out for a drive. Keep the gas tank full to reduce the risk of running out of gas and getting stranded. The primary risk during a winter power outage is that your loved one may experience hypothermia. Seniors may also trip and fall if they try to move around in the dark, or they may not have enough to eat if they rely on an electric stove for cooking. Be sure your family member has an alternative heat source and a battery-operated light, as well as plenty of food that doesn’t require cooking in case power to the stove is lost. Keep walkways clear and look for awkwardly placed items of furniture that may present a fall risk in the dark. It is also wise to have an emergency action plan in place in case the power is out for a long time. Carbon monoxide is an odorless gas that may be emitted by gas appliances such as heaters, fireplaces, and stoves. Carbon monoxide is deadly not only because breathing it can kill, but also because it is impossible to detect with the human senses. Make sure your loved one has carbon monoxide detectors installed. They are just as vital as smoke alarms and they can save your family member’s life in the event of a problem. Replace the batteries every year since your loved one’s life could depend on those batteries working. Does Your Senior Loved One Need Companionship Care? 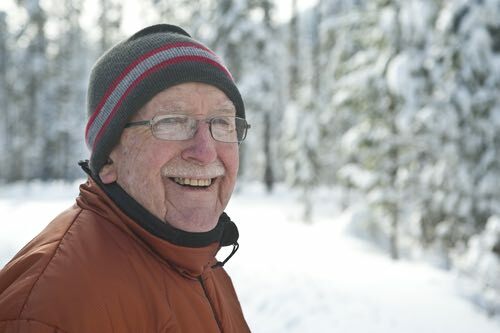 Sometimes the best way to keep your senior loved one safe during the winter is to be sure someone is available to help. If you are worried about your mom or dad living alone during the winter, consider asking a caregiver to check in on your family member and provide assistance as needed. For example, the caregiver could help with grocery shopping so your loved one doesn’t have to drive on icy roads, or they could make sure your mom or dad dresses warmly and help them with routine activities at home. Winter weather can be dangerous or even deadly for elderly people, but a caregiver can help you reduce the risks and make sure your mom or dad stays safe. To find out more, give us a call today!